At first, deciding between the 2018 Mazda6 vs the 2018 Toyota Camry can be a tricky endeavor. Both four-door sedans are comparable in many aspects, but drivers interested in exterior styling and advanced driver assistance technology should be aware of the differences between the two. We’ve highlighted all the major discrepancies in feature availability and styling elements to help you decide which one to purchase. 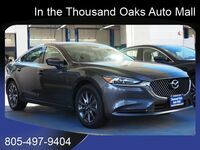 Both the 2018 Mazda6 and the 2018 Toyota Camry are available in five trim levels. Because of this, it may appear that both sedans offer the same amount of personalization. 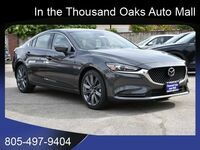 However, it should be noted that the 2018 Mazda6 is available in eight exterior color options, while the 2018 Camry is only offered in seven standard exterior colors. 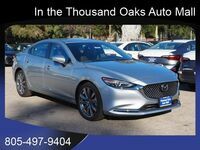 Although the 2018 Toyota Camry comes standard with several driver assistance features, the 2018 Mazda6 provides drivers with numerous advanced driver aids that are locked behind higher trim levels in the 2018 Camry. A Blind-Spot Monitoring system and Rear Cross-Traffic Alert system both come standard in every 2018 Mazda6. Comparatively, only the two highest trim levels of the 2018 Camry come equipped with these features. 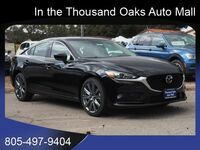 Aside from the features listed above, many other standard safety features exist within the 2018 Mazda6, each designed to keep occupants protected no matter the situation. A rearview camera, Hill Launch Assistance system, front and side airbags and passenger-weight sensors all can be found in every 2018 Mazda6 model. 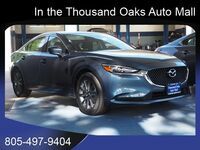 Available 2018 Mazda6 exterior color options include: Sonic Silver Metallic, Machine Gray Metallic, Snowflake White Pearl Mica, Soul Red Crystal Metallic, Titanium Flash Mica, Blue Reflex Mica, Deep Crystal Blue Mica and Jet Black Mica.